There are many flea markets that take place across the country on a monthly basis but we thought you might like a list of the big shows that come around once every spring (and usually one more time in the fall). So get out your calendar and pencil and make a plan to visit at least one. This is the part when I say, "Honey, I heard there were some great golf courses in Ohio...how does May sound?" This is one of my favorites..so very beautiful inside the big tents! Held along a one-mile stretch of Route 20, this legendary event boasts 6,000 dealers and fans out on either side of the road. It is made up of 20 individual shows, or "fields." Although the event's held the third weekend of every month, the number of vendors at the Springfield, Ohio, fairgrounds swells to 2,500 in May and September. Tiny Sparks, Kansas — population 9! 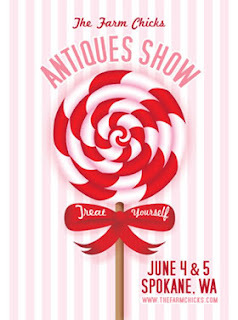 — hosts crowds of up to 75,000 twice each summer, with 450 dealers displaying a range of antiques and collectibles at great prices. Did you see my local show in the new issue of Country Living Magazine? I was at the show when they were shooting the photographs and kept waving at them, but I guess that is not the kind of photos they were looking for. It is a great show...you can read about last Oct. show here. Another great show...It was WAY worth the "early" entrance fee to get first crack at the booths, since I found this in the first 2 minutes. 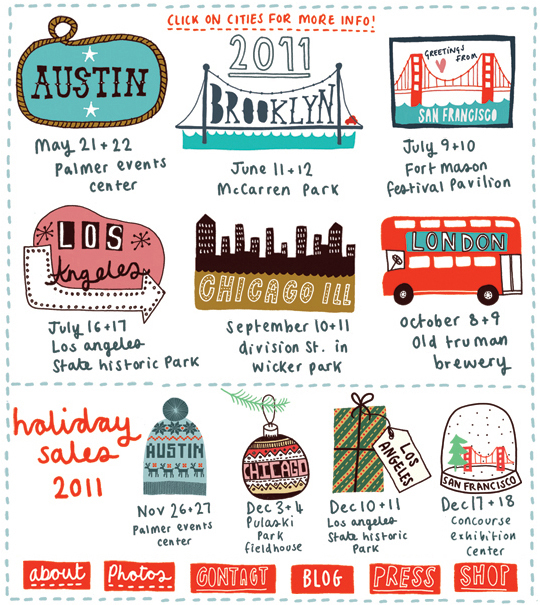 And last but not least, the schedule for the Rengade Craft Fair is up for 2011. It's a great place to find exciting new things in the handmade world. If there is one near you, you should go! Wouldn't you like to go to the one in London? Hummmm...I am sure there is golf in London! Paula..... i am going to Farm Chicks...do ya wanna go with me?? I am very lucky that the Brimfield show is about 25 minutes from my house! I just go to the end of my road, take a right and it's a straight shot to Brimfield! 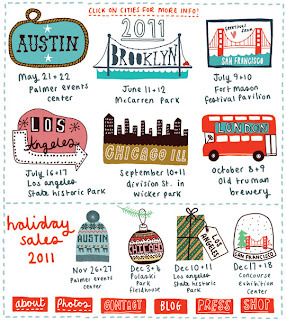 I am so excited to go this year - lots of things on my shopping list this year!